The second-ever Tango phone, the ASUS’ ZenFone AR is coming to the US, exclusively on Verizon. Engadget reported that the phone would launch in the US, this summer. ASUS’ CEO Jerry Shen revealed that the device would be launching in Taiwan first, sometime in mid-June, and later in the US by the end of June. The phone was first showcased at the CES. According to the tests conducted by ASUS’, there are more than 100 apps of Tango AR, out of which 40 to 50 of them run smoothly on the ZenFone AR. The company said that the list of apps would later be refreshed as apps would be optimized for Nougat. Shen also said that ASUS is expected to include more than 1,000 by next year. The company would be supporting the developers by organizing AR developer conferences in collaboration with Google. The first developer conference is slated for July, in Taiwan. ASUS ZenFone AR promises a powerful performance and DSLR equivalent camera, thanks to ASUS Tricam technology. 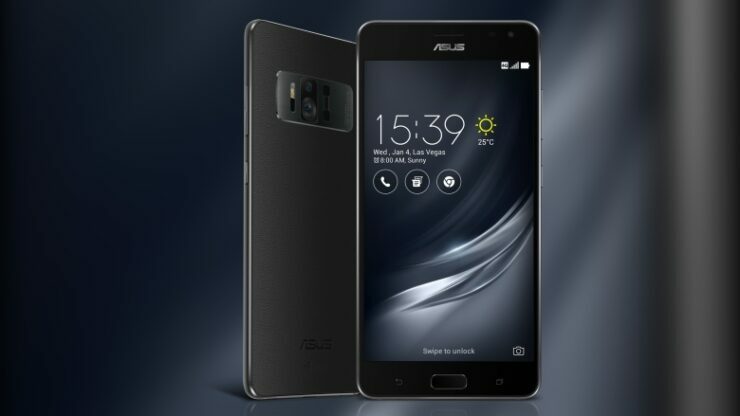 While other companies like Huawei and Samsung are marketing their dual-camera setup, ASUS seems to be moving ahead with three camera setup on the ZenFone AR. Three cameras on the phone constitute for – a primary 23MP camera, a motion tracking camera, and a depth-sensing camera. The main feature of the device is its whopping 8GB of RAM, which makes the phone a powerhouse. Regarding other specs, a Qualcomm Snapdragon 821 processor powers the phone. It has a 5.7-inch AMOLED display, five magnet speaker setup, and support for Daydream VR with various apps. The phone runs Android 7.0 Nougat out-of-the-box. Many are criticizing the lack of Snapdragon 835 on the phone, as ASUS could have easily integrated it instead of Snapdragon 821. But, we think that 821 is not a bad choice either as it comes with vapor cooling system that is necessary for a device that has massive 8GB of RAM onboard. ASUS is also planning to introduce a lighter variant of the device, with 6GB of RAM.